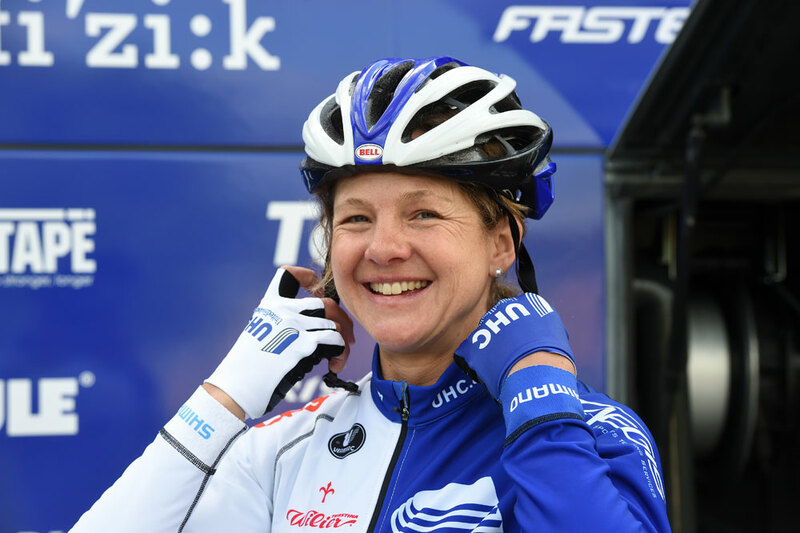 Former British road champion, Sharon Laws returned to racing last weekend after recovering from a broken collarbone. Laws finished the Trofeo Binda World Cup race in 59th position, 6.46 behind winner Lizzie Armitstead (Boels-Dolmans). Laws, who won the nationals in 2012 at Ampleforth, sustained the injury in a crash during the opening stage of the Ladies tour of Qatar, her first race with new team Bigla. The injury was adjacent to a previous break which was plated, making an operation difficult and extending her recovery time. Despite struggling for breath, she still managed to drive over 900 kilometres home to Spain after the race. Sunday’s race was meant to be the first test of form following her injury. She has been training hard on the roads around her base in Girona, and was back on the indoor trainer within a week of the crash. However she was dealt a blow, contracting a sickness bug in the lead-up to the Italian race, meaning five days off the bike at a crucial time. Serious injury has been a constant blight on a career that only really got started when she was 34 years old. After each setback, however, there has been an incentive, whether that be Olympics, or just to prove she could come back again. This year could have been different.